Publishing Houston Journal of Health Law & Policy is a time-consuming, labor-intensive endeavor that requires perseverance and commitment. HJHLPwould not continue to showcase some of the finest scholarship in healthcare law were it not for the concerted efforts of student members and alumni. To all those who spent sunny afternoons in the library tracking down sources; to those who spent late nights preparing FootNote packets; to those who provided tasty snacks and life-sustaining caffeine on Round Table editing weekends; and to who worked tirelessly coordinating publication as well as learning and networking opportunities for our staff and UHLC students alike, we want to offer you our sincerest thanks. Your enthusiasm and devotion have not gone unnoticed or unappreciated, and we hope that you are proud of HJHLP as it exists today. We are always interested in hearing from our alumni members and in receiving their current contact information in order to best maintain our growing alumni database. We encourage HJHLP alumni to contact our Managing Editor, Rita Ulrey, with updates. Alumni May Join the HJHLP LinkedIn Network: Join today! Interested in becoming more involved with the management and evolution of HJHLP? We would love to have more alumni participate on our Advisory Board. 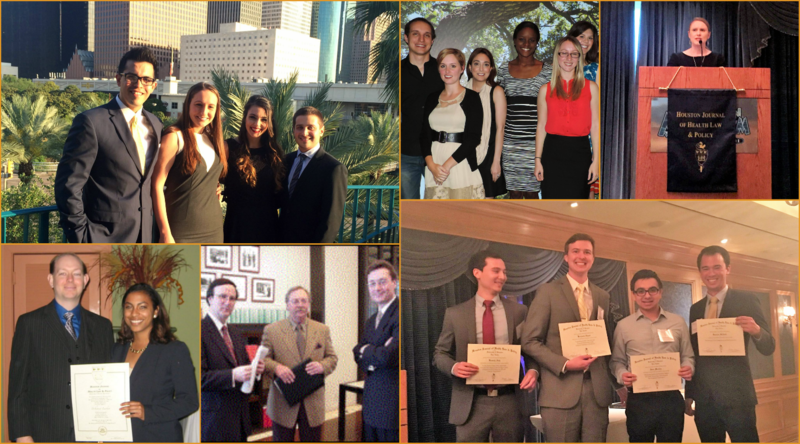 Your insight and experience as alumni and practicing attorneys are invaluable to us. For more information, please contact our Editor-in-Chief, Sydney Reed, and our Managing Editor, Rita Ulrey.